Always leave room for dessert. When eating out, we are usually overwhelmed by the good food laid down before us and become too full to take a bite of any luscious treat that comes after the meal. Well, not me, it is no secret how much I love desserts and sweet treats so I already made them a mandatory part of daily life. Eating dessert also means that you know what you want and you trust yourself enough to honor your cravings. Desserts also gives us that sense of bliss and by eating dessert after meals, you allow yourself to value pleasure – and it makes you feel real good about everything! From the moment you walked into Yakumi, you will be thoroughly impressed by the layout and the elegance of Solaire Resort and Casino’s signature Japanese Restaurant. For some, it may be quite intimidating, but you will be surprised at how affordable their prices are for such excellence in quality. From the freshest seafood creations such as tempura and sashimi to Robatayaki and Teriyaki and to their unique world-class desserts, Yakumi will surely give you an incredible dining experience. 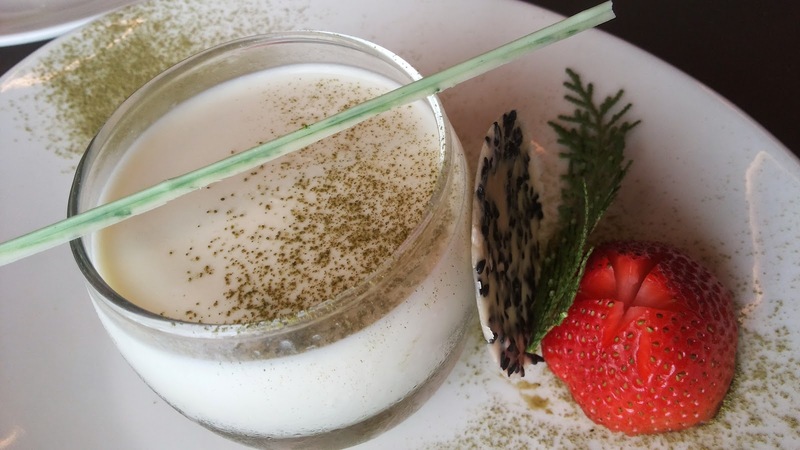 Yakumi’s Wasabi Panna Cotta makes it on my best desserts in the metro because of its unique ingredients and taste. Wasabi is commonly used for sashimi and sushi. It has an overpowering taste and smell, so when combined to create an interestingly unique dessert, you won’t really believe how it could taste so good. It took me some time to adjust to its taste and it became the perfect finish to an enjoyable Japanese feast! Gelato is Italy’s creamy and smoother version of the popular ice cream, and for many it makes no difference at all. 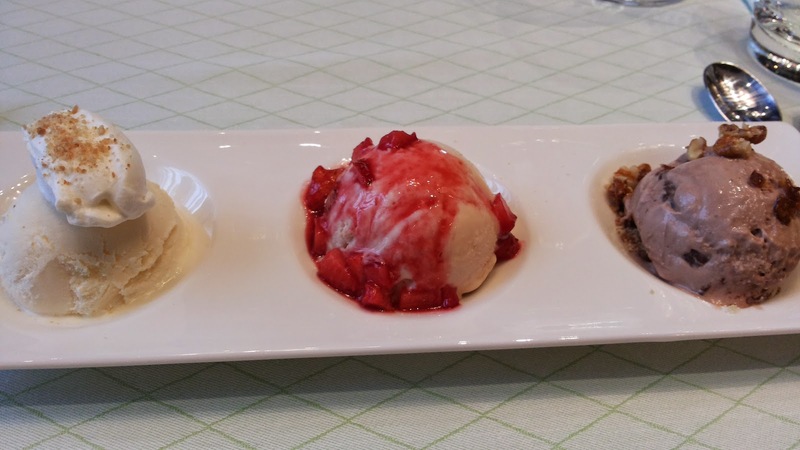 But wait until you have tried Solaire Resort and Casino’s Finestra Gelatos. This signature Italian restaurant gives us an excellent choice and gelato flavors to please every picky taste bud – the Homemade Nutella Gelato with Biscotti Crumbs and Candied Walnuts, Homemade Strawberry Coconut gelato with strawberry coulis and pistacio, Homemade Vanilla with Mascarpone Cheese Gelato. If you have ever heard someone say “It soo good, you’ll forget your name eating it,” it is the same experience you’ll get with this dessert! So make sure you write your name before you try out Finestra’s Gelato! Even if you feel awfully full, there are still dessert choices that can cleanse your palate and make you feel good about your meal. The Chilled Osmanthus Flower and Wolfberries with Aloe Vera is another uniquely light dessert creation from one of Solaire Resort and Casino’s finest restaurants – the Red Lantern. 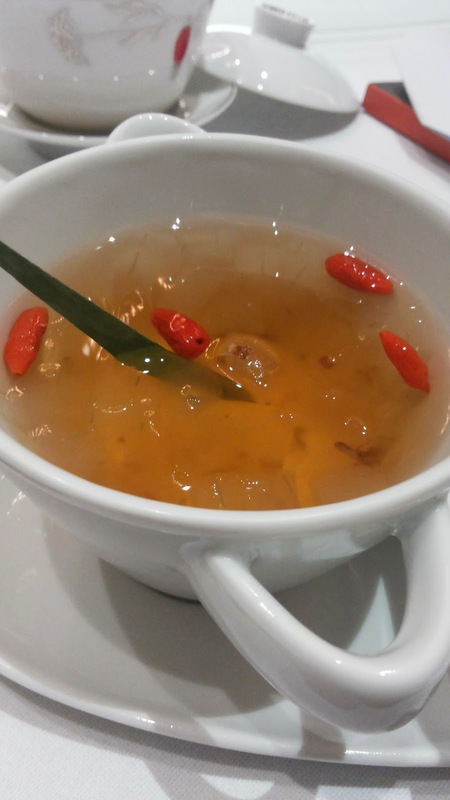 You will be more pleased to know that this Chinese concoction is also filled with health benefits in every spoonful. A serving of this dessert will not give you any guilt-feelings, just pure pleasure, bliss and good health! Moving away from Solaire Resorts and Casino, I find cupcakes to be a convenient and handy way to satisfy any sweet cravings. 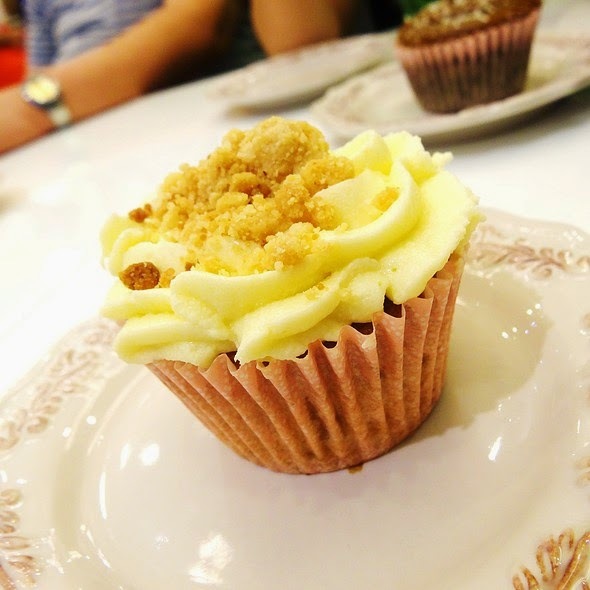 The Apple Duchess Cupcake from the Royal Touch in SM Aura Premier is fluffy, moist and absurdly delicious! Cheese and wine go very well together after a hearty meal that is why in this modern times, cheese remains to be a top ingredient in different dessert choices. Ensaymada, a Filipino favorite delightfully rediscovered in Café Adtriatico’s Ensaymada and Quezo de Bola dessert combination. It can be enjoyed after a meal or you can have it with a cup of hot chocolate for a completely blissful moment.